For professional purposes or personal purposes, different methods, tools, and documents are used for better task management. 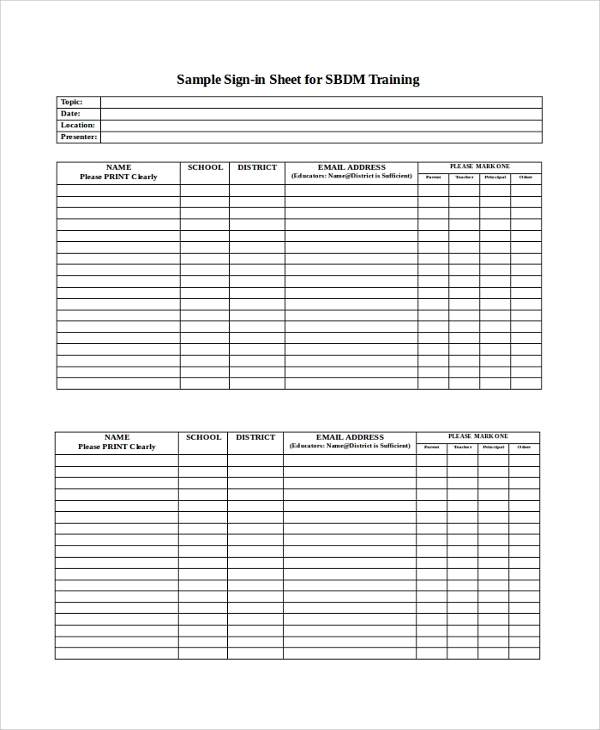 The Sample Sign In Sheet is such a document which is extensively utilized in the professional field for managing various tasks. Business owners or managers or HR managers may need to create such sheets. Instead of creating a sheet, you can also choose to download one in order to save your time as well as efforts. Various sign in sheets and assignments sheet are available online. This is a sample for the Open House Sign In Sheet. In case if you need to create such documents for record keeping purposes, you can use this template to get standardized formats for record keeping. Before conducting a meeting, it is important to know the attendees for the meeting. 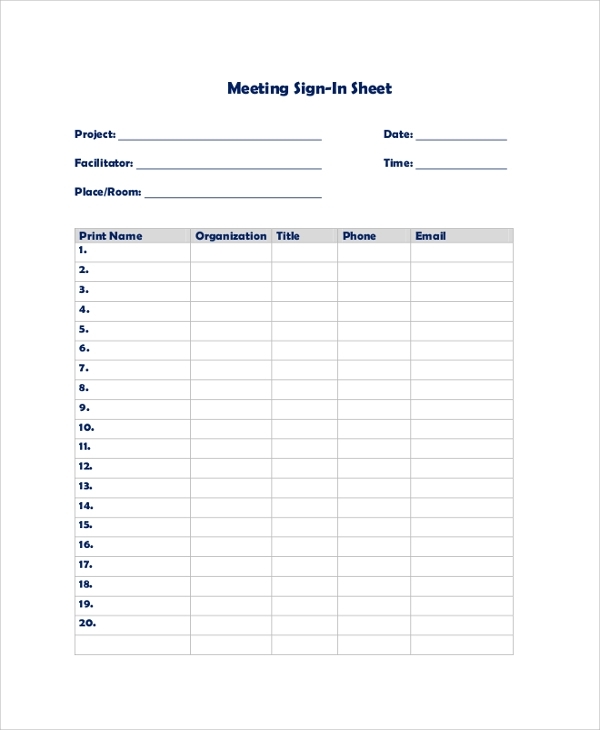 To get information of the attendees in a Meeting Sign In Sheet , this sample can be used. 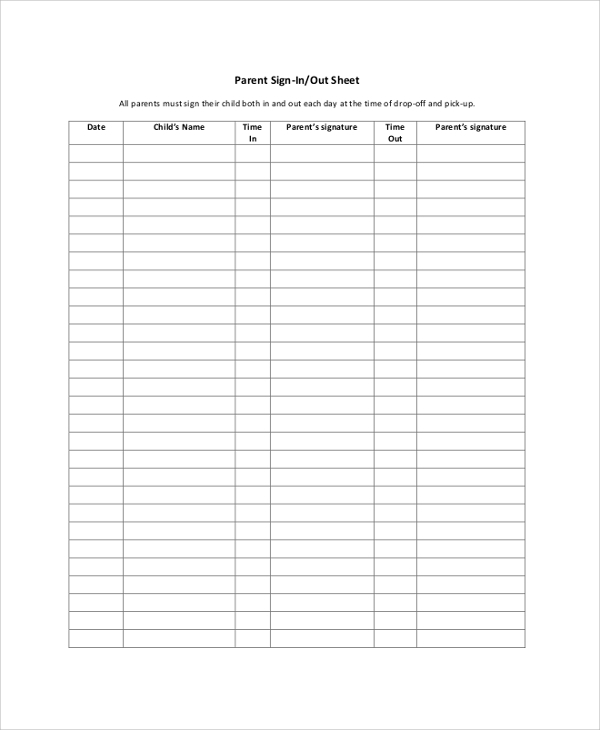 If you are looking for a customized sign-in sheet, you can consider downloading this document. This template is available in Word file format and can be downloaded easily. 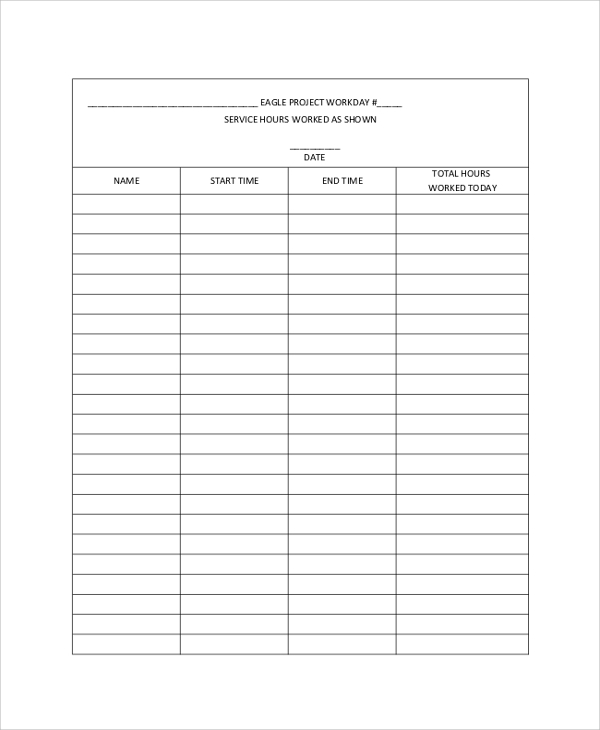 Sign in sheet is a record keeping document or tool that can be utilized by a business for different reasons. For example, a company has organized a seminar or expo. Now, it has to collect names, phone numbers, addresses and many other details of the individuals who have attended the seminar or event. For collecting such data, HR managers need to create the sign in forms. These Downloadable Sample Forms are filled up by the attendees. These forms work correctly as record keeping documents. Information of these participants is taken to make seminars in future furthermore successful. These documents can be used for creating a list of potential clients or customers for a business. For an event or expo or seminar, it is important to get some personal information about the visitors so that they can be reached later for many purposes. 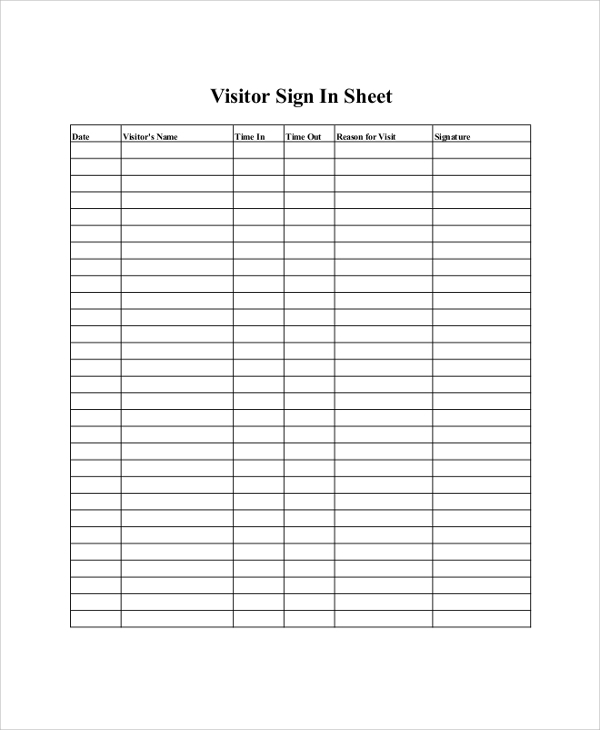 Here is the sample Visitor Sign In Sheet for you. 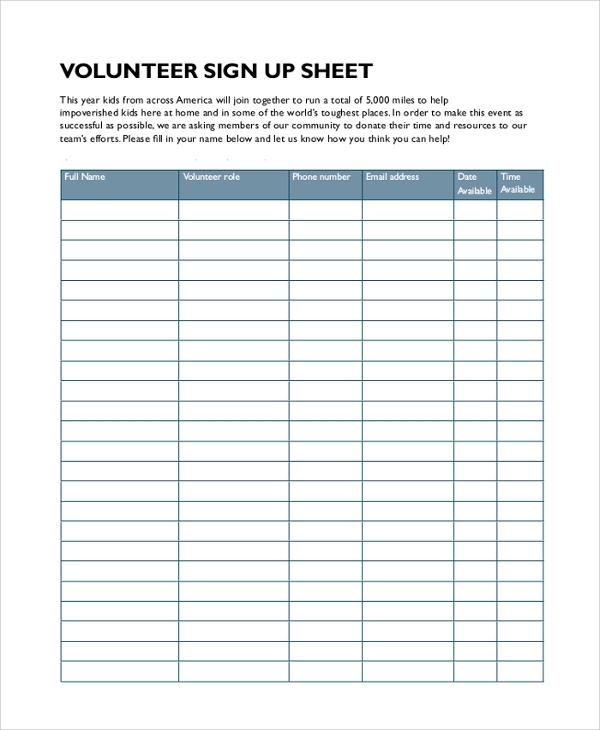 Volunteer sign-up sheet should be crafted with precision so that contact details and other information about volunteers can be collected with perfection. For that reason, using this sample sign in sheet is highly suggested. Who should Use The Sign In Sheet Templates or Samples? 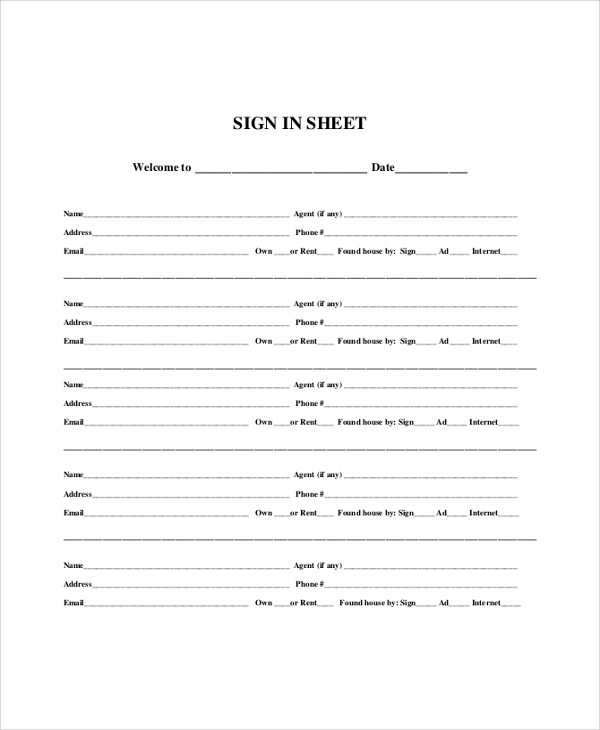 As stated, sign in sheets are used for various professional purposes. These are used for storing records. They are also used for fetching important or vital information from targeted audiences. Business HR managers need to create a sign in sheets for their employees. You may also see the Assignment Sheet Samples. Using sign in sheets, they keep records of various employee related information. 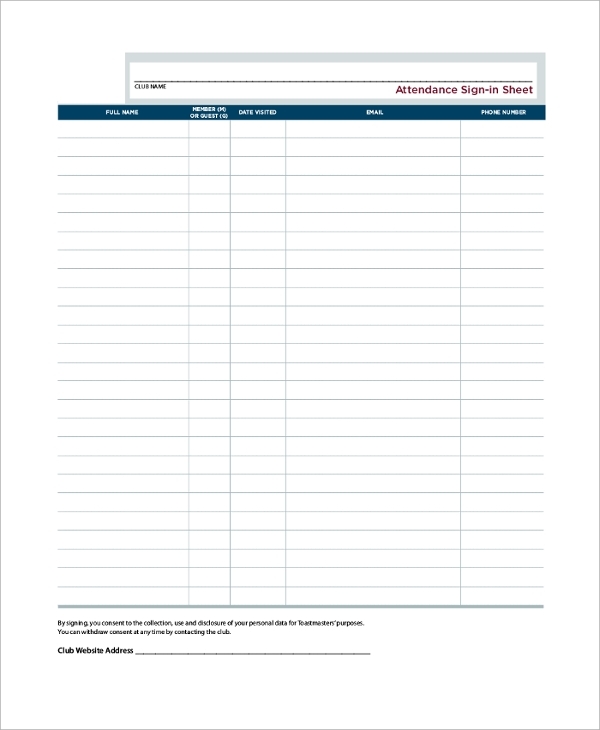 Event managers need to create a sign in sheets for the purpose of keeping records of the attendees in an event. The attendees can be contacted later and can be asked to leave their feedbacks on the event so that the event can be made better in future. Using sign in sheet is always important for the purpose of record keeping. This has been used for different record keeping purposes. Starting from simple to casual as well as official, sign in sheet is used quite extensively for different purposes. 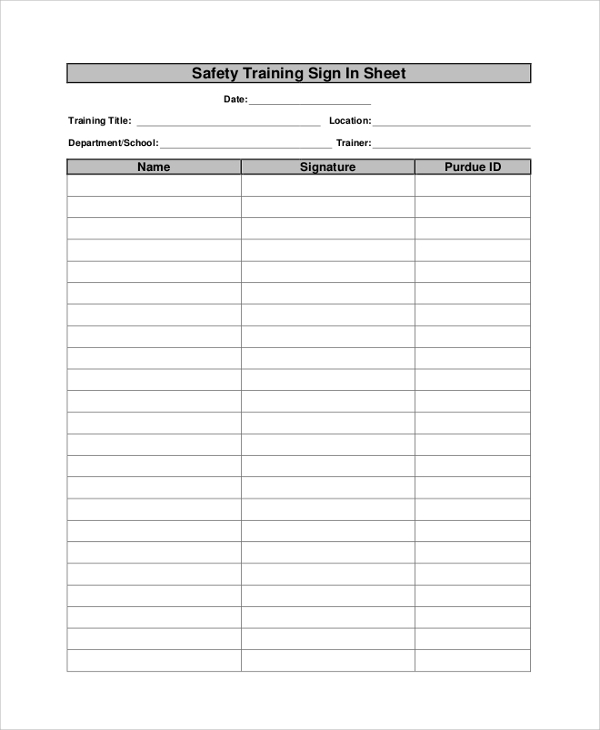 To create a perfect sign in sheet format, you can use the online samples.